Based in a former Victorian brewery building in Cirencester, New Brewery Arts has been a centre for the arts and artistic crafts for more than 30 years. The workshops house 19 craft workers, including a glass blower, textile artists, ceramicist, upholsterer and jeweller. 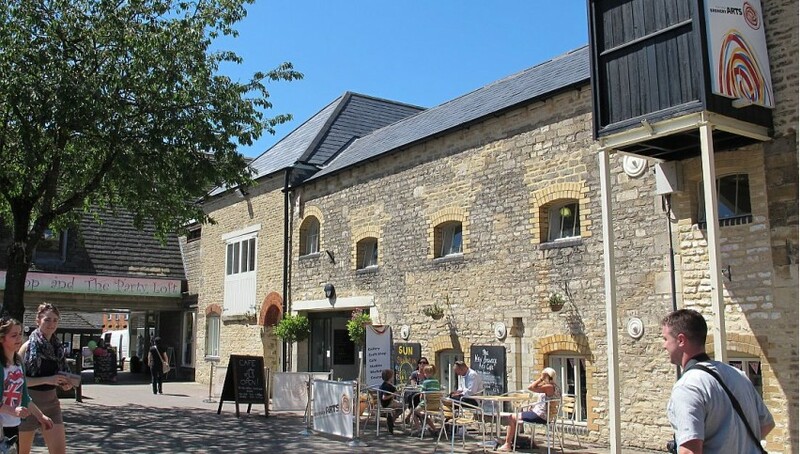 New Brewery Arts in Cirencester, based in a former Victorian brewery building, has been a centre for the arts and artistic crafts for more than 30 years. The workshops house 19 craft workers, including a glass blower, textile artists, ceramicist, upholsterer and jeweller. Visitors have the opportunity to watch craftspeople at work and to buy directly from them or browse an array of their work on show in the New Brewery Arts café and shop. Each year, about 200,000 people from near and far visit the centre in Brewery Court, enjoying the craft shop, gallery, makers’ studios, classes, workshops and drop-ins, pop up gallery, theatre and café.